the whole youthful, child-like soul; to put songs int« it, which will generally remain in it through life and give it its tone; which will be to it lasting voices, encouraging to generous deeds and noble fame, to virtue and consolation, like the heroic ballads and stirring war songs of the ancient nations; what a great aim, what a glorious work would this be!" George F. Root. Permission John Church & Company. derness of spirit. He was one of the seven Bishops committed to the Tower for disobedience by Jame6 II., but proved his loyalty by refusing to take tho oaths to William and Mary, and was consequently deprived of his bishopric. He was regarded with the highest esteem even by his enemies, and Queen Anne, upon her accession to the throne granted him a pension. He was the author of several volumes of elaborate sermons, and of many poetical produc�tions of a religious character. Hi? 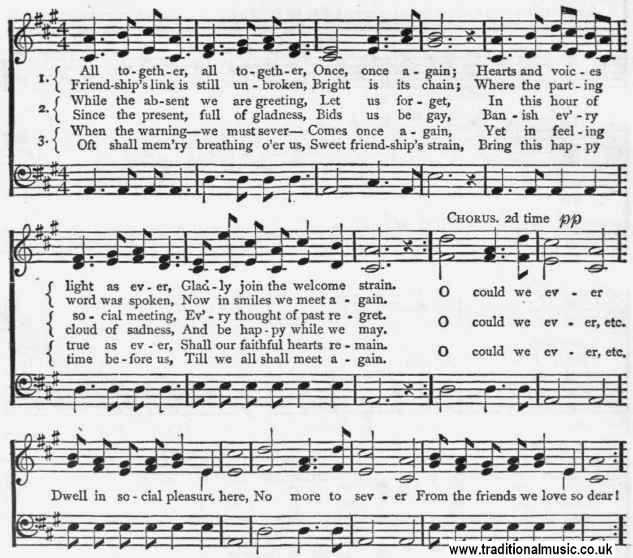 morning and evening hymns are still repeated in thousands of English families. The doxology is the closing stanza of a morning hymn beginning with the familiar line, "Awake, my soul, and with the sun." We owe a debt of gratitude to any man who has put the thought and aspirations of humanity into words that linger in our memories or voice them�selves in the popular heart, and we cannot but feel that we are rearing a monument of song in honor to the author of our peerless doxology every time we join in the grand and solemn hymn of praise, Praise God from whom all blessings flow, Praise him all creatures here below, Praise him above, ye heavenly host, Praise Father, Son and Holy Ghost.. The effect of good music is not caused by its novelty. On the contrary, it strikes us all the more forcibly the more familiar we are with it�Goethe.